• 18 000 jobs disappear as Palaszczuk Government forced to halve forecast employment growth. The Palaszczuk Government’s mid-year Budget update has revealed a massive cut to infrastructure and significantly weaker jobs growth for Queensland – yet another sign Queensland is falling behind under this do-nothing Labor Government. 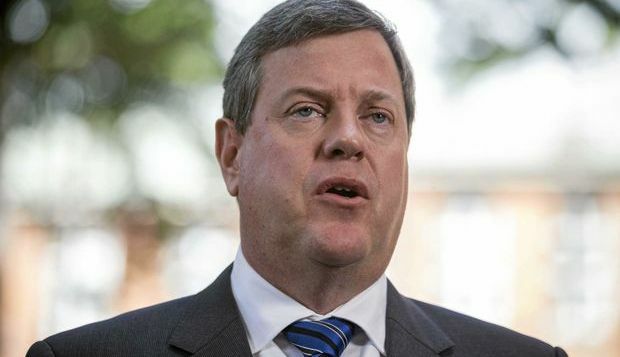 Opposition Leader Tim Nicholls said the dismal spending in today’s Mid-Year Economic Fiscal and Economic Review relied upon a short-term sugar hit from increased coal royalties, rather than sound fiscal management. “Queenslanders have a billion reasons to feel let down today with today’s mid-year review nothing more than a complete admission of failure by this incompetent Labor Government,” Mr Nicholls said. “Today’s budget update contains NO funding for any of Labor’s supposed priority infrastructure projects. Mr Nicholls said today’s figures showed the Palaszczuk Labor Government had even given up on job creation with employment growth halved for 2016-17, meaning 18 000 fewer Queenslanders would be in work. “Labor is relying a coal royalty bubble that even the Treasurer himself has admitted is likely to burst – a confession that he’s relying on good luck rather than good management to run Queensland’s economy,” he said. “Today’s figures show debt is continuing to rise to more than $77 billion despite all the raids, accounting trickery and sleights of hand – and sadly Queenslanders are paying the price. “Hidden away in all of today’s figures is the nasty little surprise that Labor has cut Queensland’s infrastructure budget by almost $700 million from the budget it released just six months ago. Deputy Opposition Leader and Shadow Infrastructure Minister Deb Frecklington said regional communities would be hardest hit by Labor’s savage cuts to infrastructure. “The MYFER confirms yet another savage cut to the state’s infrastructure budget under Labor,” Ms Frecklington said. “Another $668 million has been cut from the forward capital program. Over the next four years Labor will spend almost $3 billion less than previously budgeted under the LNP. “Regional communities like Townsville, Cairns and Wide Bay have seen hundreds of millions of dollars slashed from local infrastructure spending under Labor and this is having a huge impact, with youth unemployment at crisis levels. “Labor has bizarrely responded to a regional unemployment crisis by slashing infrastructure spending even more and this is going to have a disastrous impact right across Queensland.